Our story began in the early part of 2012 when we met Dave Heppner at the Compassion Resource Warehouse in Victoria whilst helping to load a 40 ft container to Thailand. We have been part of the “warehouse” for a couple of years helping to sort, bag, box and load medical/school supplies, clothes, tools, sewing machines, toys and everything in between that is useful to developing nations. 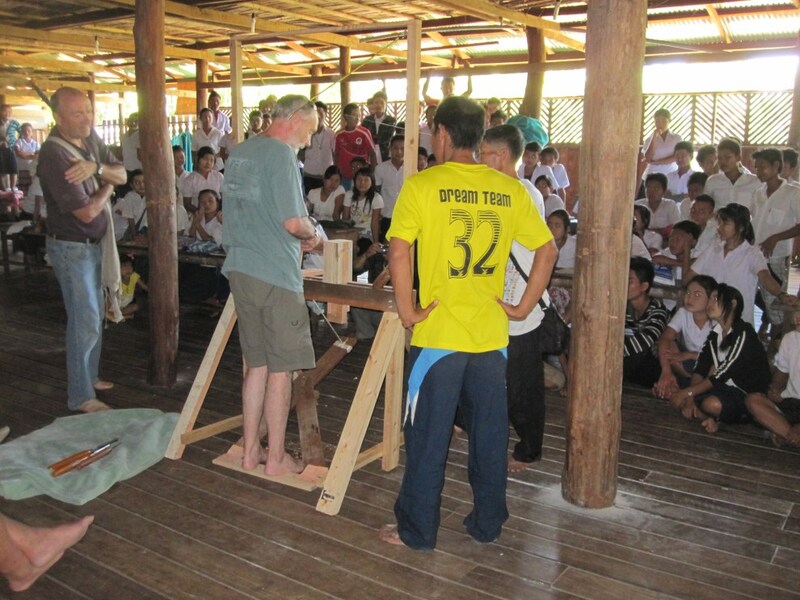 Graham discussed with Dave about making two foot powered wood lathes as he is a wood turner and thought they would be useful to refugees as a possible way of earning a living. Dave thought this was a good idea and suggested we come to Thailand in November. We were at the Farm when the container arrived containing the two lathes. We spent our days unloading the container and distributing the goods amongst various schools, orphanages and refugee camps and medical clinics. 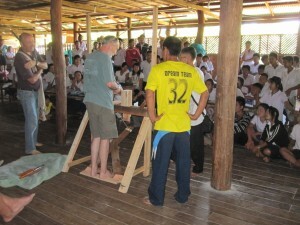 Graham was able to demonstrate how to use the lathe to a school in Burma and the students were very interested. The lathe and tools were left at the school along with plans for making more in the future as required. Our whole trip was full of different experiences and we were amazed at he amount of work that has been accomplished and the ongoing projects that Global Neighbors are involved with, they are making such a difference to many lives. It was a life changing experience for us. Thank you to our fellow travellers, we so enjoyed your company and we had lots of fun. We really hope to return to Thailand and play a small part with Global Neighbors.